This excavated native soil has been screened and aerated so that large clods, sticks, large clay balls, debris and rocks have been removed, however, there still may be small-sized items present that have passed through the screening process. It is very consistent in texture, and very workable. 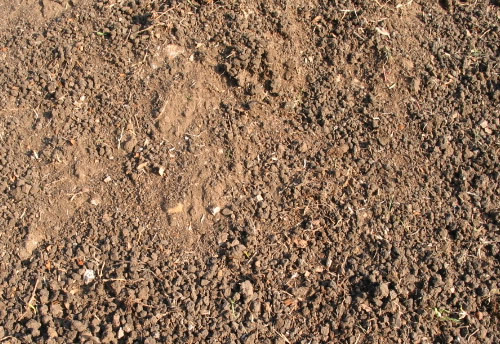 This black soil is appropriate to use in places where you need clean black soil, or when you want clean native soil to till into a rich organic compost in order to make a great bed. If building a berm, apply the Screened Black Dirt base, pack it, then cap it with 4 inches of a quality soil mix. 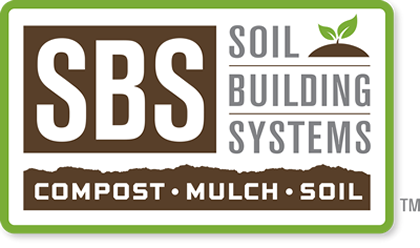 SBS's Enriched Top Soil™ or New Lawn Soil™ would be appropriate when growing grass over the berm, whereas, Ready-To-Plant™ would be appropriate for ground cover. This is an excavated product. It will have some or all of the following present in the material: rock, roots, sticks, trash, and other debris. It is not pretty, however, it is a low-cost option when filling a hole. This is an as-is product and can not be returned to SBS once dumped. This clay based fill dirt is only appropriate for filling holes or placing where appearance is not a concern, such as around a home’s foundation or as the base of a berm. Select Fill is a reddish tan clay that is non-expansive in nature. It has an excellent dry weight along with an average plasticity index. Copies Available - call for more info: ASTM-0698 Proctor ASTM-04318 P.I. This material is excellent for raising elevations to accommodate most any structure or construction. Use as desired. Tamping in layers to create a firm base is common. This dirt has been excavated from places in and around the Metroplex. It is not a screened or controlled product, and will very likely have rock, sticks, trash and other debris present. This is an as-is product and can not be returned to SBS once dumped. 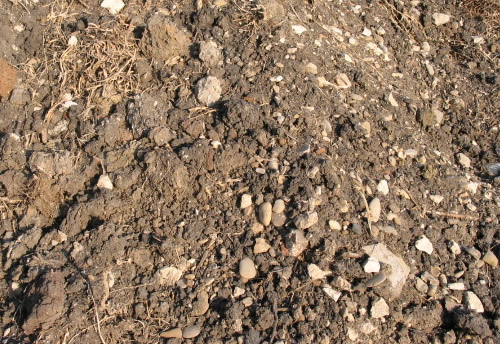 This black soil is appropriate to use in places where you need a solid clay-based soil, such as around a home’s foundation or as the base of a berm. This material can also be blended with rich organic compost to make a decent planting material. 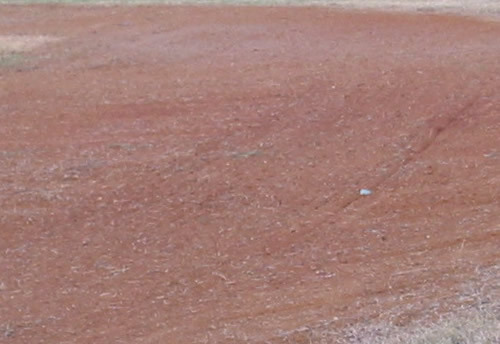 This reddish/orange clay material is used on baseball fields to give it that traditional red clay appearance. It is durable and has a fine clay texture. To be used to construct the running path around a baseball diamond, as well as the pitcher's mound. This material can be used in other applications also, but it is best known for its use on baseball fields. Remove any grass along he running route, spread the material, rake it smooth, then water it down. Allow the Baseball Diamond Clay to dry thoroughly before attempting to play on the surface.